The buffet in the Prime Overtime Club will feature composed salad, strawberry salmon, jerked chicken with pineapple salsa, wild rice, fresh seasonal vegetables and a dessert bar for $12. Water and iced tea are included in the buffet…sodas and other beverages are available for purchase. The Prime Overtime Club will open at 5:30pm for this game on Monday, October 29, 2018. The buffet in the Prime Overtime Club will feature Caesar salad, sirloin steak, chicken provencal, roasted potatoes, fresh seasonal vegetables, and a dessert bar for $12. Water and iced tea are included in the buffet…sodas and other beverages are available for purchase. The Prime Overtime Club will open at 5:30pm for this game on October 30, 2018. The buffet in the Prime Overtime Club will feature fresh cut fruit, scrambled eggs, chicken fried steak, biscuits & gravy, hash browns, waffles and breakfast pastries for $12. Water and iced tea are included in the buffet…sodas and other beverages are available for purchase. 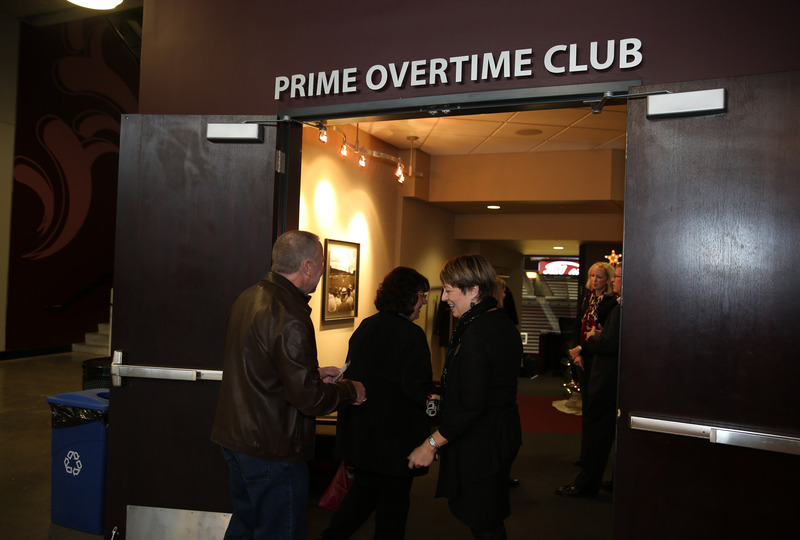 The Prime Overtime Club will open at 12:30pm for this game on November 4, 2018.